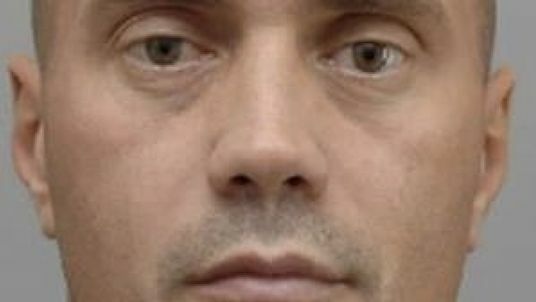 The suspected leader of a Romanian crime network, who became one of the most wanted men in Europe, has been arrested in the UK. Florin Ghinea - who goes by the nickname Ghenosu - was detained by officers from the National Crime Agency (NCA) as he left a gym in Watford. The 43-year-old was wanted by police in his home country on suspicion of human trafficking, conspiracy to murder, blackmail and money laundering. A trafficking operation he allegedly ran saw Romanian women sent to Ireland, Finland and Dubai for sexual exploitation, while the conspiracy to murder allegation relates to a plan to kill a criminal rival. Europol listed Ghinea as one of its most wanted men. He appeared at Westminster Magistrates' Court on Wednesday after being held on a European arrest warrant and faces extradition to Romania. He has been remanded in custody ahead of his next court appearance on 25 September. NCA deputy director Tom Dowdall said his arrest had made UK streets safer. "Ghinea was being sought by the Romanian authorities for some extremely serious offences, including human trafficking and murder, and was quite rightly regarded as one of Europe's most wanted," he said. "He was arrested as a result of some excellent joint working between the NCA, our partners in Romania and Hertfordshire Police. "The ability to do this means that no matter where in Europe they come from criminals will find no sanctuary in the UK, and our streets are safer as a result."